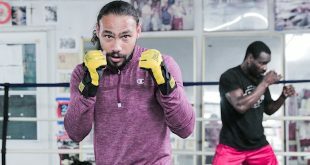 Aguilera, 10-0 (6), fighting out of Newburgh, NY, takes on 7-foot Marcellus “More Than A Conqueror” Brown, 25-17-1 (21), who has been a sparring partner the past two months for former world heavyweight champion Hasim Rahman, in the featured fight on the 12 bout card “Holiday Hits” show, promoted by Bob Duffy’s Ring Promotions. Aguilera, born in the Dominican Republic and raised in Puerto Rico, was the top rated amateur in both countries before resettling in Newburgh, New York. 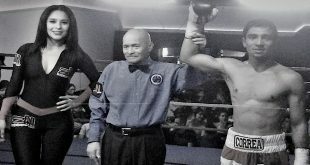 He is a two-time New York Golden Gloves champion, as well as a former U19 tournament winner. Brown has been in against former world champions Lamon Brewster, Tommy Morrison and Trevor Berbick. 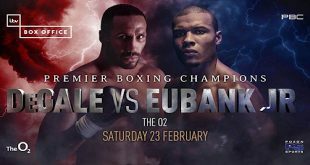 New York City southpaws Jaffa “African Assassin” Ballogou and Daniel Judah square-off in a crossroads fight in the 12 round co-feature for the IBF International light heavyweight title. IBF Continental Africa cruiserweight champion Ballogou (46-6-1, 40 KOs), born in Togo and living in Manhattan, battles Bronx native Judah (22-3-3, 10 KOs) for Big Apple 175-pound bragging rights., in the 12-round co-feature. Ballogou, 40, also is the former WBC Latin America and WBA. Bronx lightweight Jorge “The Truth” Teron (22-0-1, 15 KOs), reigning NABF title-holder, faces Aldo “El Pato” Valtierra (24-10, 13 KOs) in a 10-round, non-title Special Attraction. Teron, trained by former Olympic gold medalist and world champion, Mark Breland, is rated No. 4 by the WBO, as well as No. 14 by the WBA and No. 19 by the WBC, while Mexican warrior Valtierra is a former WBA Fedecentro and WBC FECARBOX Central American super featherweight title-holder. Popular middleweight George “Blaze” Walton (18-3, 12 KOs), of Harlem, meets Clarence “Sonny Bono” Taylor (13-18-3, 6 KOs) in a 6-rounder. Dublin super featherweight Eddie “Pride of Tallaght” Hyland (10-1, 3 KOs), making his much anticipated New York City debut, fights Gustavo Dailey (2-3) in another 6-round bout. 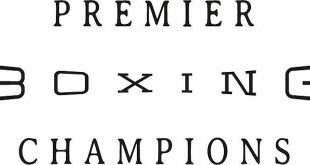 Also on the undercard in separate 4-round bouts is highly-touted Brooklyn light heavyweight Will Rosinsky (2-0, 2 KOs), three-time National Golden Gloves champion vs. Amador Acevedo (2-4, 2KOs), Queens, Lou DiBella-promoted NYC heavyweight Tor Hamer (1-0, 1 KOs) vs. Royal Bryant (1-1-1, 0 KOs). Brooklyn welterweight Luis “El Mero Mero” Ruiz (3-0, 1 KO) vs. Ken Durham (4-26-1, 2 KOs), Queens light middleweight (by way of Cyprus) Lambrose “Lionheart” Karaolides (1-0, 1 KO) vs. James Justice (0-1), New York City light welterweight Christian Martinez makes his pro debut against Rochester’s Murray Cunningham (1-0, 0 KOs), pro debuting Bronx super flyweight Emmanuel Gonzalez vs. Jean Ramos (0-2), Brooklyn light middleweight (by way of France) Roman Oliveri vs. Eluid Torres (0-0-1). All fights and fighters are subject to change. Tickets, priced at $150.00 (Golden Ringside), $100.00 (Ringside) and $50.00 (General Admission), are on sale and available to purchase at the Roseland Ballroom, going to www.ringpromotions.com or calling 516.313.2304. Doors open at 6:00 PM, first bout at 6:30 PM.